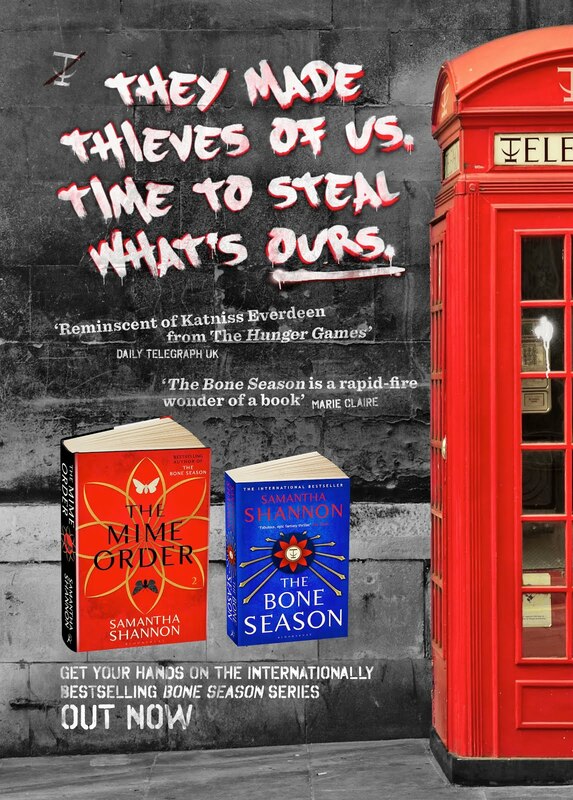 As I always wanted this blog to cover every major stage of publishing a book, I asked Bloomsbury if they could arrange for me to see the paperback version of The Bone Season being printed. Along with Helen and Vicky from the publicity department, I was off to CPI Mackays, one of the biggest printers in Europe, where The Bone Season was being printed in paperback form. Their UK manufacturing site is in Croydon, Surrey, and their major source of competition is Clays. We were given a tour by Justin Manley, who was kind enough to show us around the factory – once we'd put on our gleaming high-vis jackets, of course. The earliest printing system with movable characters is thought to have been invented by a Chinese printer named Bì Shēng around 1045, during the Song dynasty. Another version is reported to have been used in Korea between the twelfth and thirteenth centuries. However, Bì Shēng's method of printing was fragile, slow, and wasn't suitable for producing the enormous amount of reading matter that we consume today. In the West, the best-known historical figure in the history of printing is the German goldsmith and businessman Johannes Gutenberg. His version of the press, completed in the late 1440s, caused a revolution in mass communication, particularly in Renaissance Europe. Previously, most books had been written by hand, and literature in general was largely the domain of scholars, noblemen, and members of the clergy. Gutenberg's press meant that books could be produced quickly and cheaply, increasing the demand for literature among the general public. Not only were ancient manuscripts reprinted, but new reading matter appeared in the form of pamphlets, tracts, broadsides, and more. Although Gutenberg is widely accredited as the master inventor, it's sometimes claimed that a Dutch sexton named Laurens Janszoon Coster, a resident of Haarlem, was printing as early as 1430. Certainly Coster was working at around the same time as Gutenberg, but there simply isn't enough to evidence to determine who came up with the idea first. So let's get back to the modern day and take a look at how a book becomes a book. The Bone Season was printed on FSC certified paper, weighing 50gsm (grams per square meter). FSC is short for Forest Stewardship Council, which promotes the sustainable management of forests; you might have seen their symbol on packets of office supplies. Generally, FSC paper is either recycled, or uses "virgin", non-recycled wood fibre from a well-managed forest (or a combination of both recycled and non-recycled material). One of the biggest arguments I hear in favour of e-readers is that they don't contribute towards deforestation. As an author, I do feel guilty when I think of all the paper that goes into just one copy of my book – the Bone Season paperback has a whopping 452 pages of story, along with all the extra material – but knowing that it's been provided responsibly is a comfort. A fun fact about the printing process: the ink on your books and newspapers never truly dries. The printing method used is called cold web offset printing, or non-heatset. The "web" part refers to the use of enormous rolls of paper, called "webs" – they're the size of hay bales! – that are fed through the printing press, as opposed to individual sheets. Webs are commonly used for large print runs, i.e. more than five to ten thousand impressions. In cold printing, the ink is left to dry naturally through the process of absorption and evaporation. That's why you'll often find smudges on your fingers if you've been reading the paper. Hot offset, on the other hand, puts the pages through driers to bake on the colours, leaving the image nice and glossy. That's the method that's generally used for catalogues and magazines. After being printed, the books are taken to the perfect binder. That's not me flattering it, by the way: it's really called a perfect binder, referring to the method of binding used for mass-market paperbacks. The printed pages of The Bone Season were loaded onto the feeding system, and by the time we arrived at the factory, they were whizzing through the factory at an average binding speed of 18,000 books an hour. The speed is recorded on the monitor as half that number, as everything at Mackays is printed "two up". This means that two small images of each page are printed on each sheet . There's a strict quality control system in place to make sure that readers aren't presented with the same chapter twice in a row. Every feeder is fitted with a camera called an ASIR (Automatic Signature Image Recognition) system, which takes a picture of the first section of the book and ensures that every section after that is the same. If it isn't, the pages are rejected. There were huge plastic crates purely for rejected sections. But don't worry – they all get recycled. Once the sections are collated, a levelling saw is applied, which takes 3mm off the book's spine, ready for the first lot of hot glue to be applied. The sections are put through the "nipping station", which "nips" the cover to the sections. Mackays uses a two-roller system, which determines the thickness of the glue: usually just under 1mm. Side glue is also applied at this stage. Justin told us that these measures were critical in ensuring that books have strong spines, and that pages don't begin to come away once it's been read a few times. If you've ever been on the beach and found your paperback falling to bits under the sun, it's most likely because the glue is being heated up again. Most well-made books won't do that, but occasionally the printers will get complaints about badly bound books; Mackays estimates about twenty a year (a tiny number, considering how many they print per day). As you can see, the edges of the pages are still rough, and there's still a white border around the cover. Here's where the final stage comes in: trimming. The two books are first cut apart, then each one is neatly trimmed. With that done, the books are finished and ready for distribution. If you want to see the finished product, you can now pre-order the paperback from Waterstones and Barnes & Noble. Thanks so much again to Justin for showing us around the factory! It must be quite an experience, seeing your own book being printed :) I love The Bone season, looking forward to your next book. You are very good at writing, I hope you write many books. It was a great experience! And thank you. I hope so, too. Interesting post, Samantha. No one really thinks of this part of publishing - well, at least I didn't. I can't wait to buy the paperback! That's why I was so curious about it! Glad you found it interesting. Very cool! I catalog children's/teen books for a public library and always kind of wondered why I get a random page every once in awhile that's not trimmed. I just cataloged The Bone Season as an audiobook last week! Can't wait for The Mime Order! You're writing is amazing! Samantha, what a joy to see the process. Fascinating and exciting. I wish you every success and can't wait to read your book. You're very welcome. I had a great time. It sounds like you had an interesting time seeing how The Bone Season was printed! I honestly love that you share so much of your journey to publication and beyond with us readers. I'm glad! I'll try to keep finding more to show you. Is it true there will be a sneak peek of The Mime Order in the paperback version? I just wanted to know if you are an Anne Rice fan. I've never read any of her work.